Yokohama is the major city of the Greater Tokyo Area. It is the second largest populated city in Japan. It is the home for many head and branch offices of the major domestic, but also foreign companies. Throughout history, it was a functioning port town, that has blossomed into the modern and very interesting city. Many foreign residents are moving to Yokohama in the search of the better life, and the city is always changing to improve its convenience of their everyday life. If you are relocating to Japan, think about settling in the Yokohama. Of course, you need to learn what expect you in this great city. Make sure that this is the right place for your new home and follow the steps that will make your moving to Yokohama much easier. Yokohama is a beautiful city that combines traditional values with modern living. When you plan to move to Yokohama from another country, you need to grasp how demanding that task will be. It is not just interstate moving, but it is also the overseas relocation that will require great organization skills. Good planning will help you manage the whole process and make your move less stressful and easier. These are the basic steps that you have to take when moving to Yokohama. The first thing on your list should be to make a budget plan. Calculate all of the expenses that moving to Yokohama will require. The total amount will show you how much money you need to set aside for the move. Then you can create your moving budget. Since this is the hardest type of relocation, it will require a lot of your time. The more time you have to organize everything, the better. Start planning your relocation from the moment when your decision about moving to Yokohama is final. Moving overseas on a short notice is an almost impossible task. 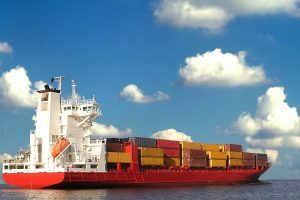 When you are relocating overseas, you will require the assistance of one of the largest sea freight forwarders. It’s the only way to transport your belongings to Japan. The moving expenses will mostly depend on the total weight of your shipment. That means that you need to relocate only the things that you absolutely can’t live without. Decclutirng your home will lower your moving costs significantly. When you are moving to Yokohama from another country, hiring professional movers isn’t luxury – it is an absolute necessity. This is the type of relocation that you can’t do on your own. Of course, the crucial thing will be to find the most reliable moving company. Hire only the reputable and reliable movers with plenty of experience at international relocation. They will make sure that your belongings arrive safely to your new home. International movers will also handle all the pesky documentation that goes along with overseas moving. If you are already an expat in Japan and you wish to move to Yokohama from another Japan’s city, the best way is to rely on the domestic moving expertise. There are many great moving companies in Japan that can assist you with your local moving. While you can move short distance on your own, since you are in a foreign country, the safest way is to hire reputable local movers. That way, you can avoid moving scams and maybe even some penalties for not knowing the laws for cargo transport. Yokohama originally was a small fishing village, but now is the second biggest city of Japan and a top destination for expatriation. Its development was amazing since this city was totally destroyed twice – by a devastating earthquake and by bombing during the Second War World. Like a phoenix, it has risen from the ashes and become very modern and prospering city. It is on the strong second place on the list of the best cities to live in Japan. It’s exceptional quality of life along with lush nature and a huge historical and cultural legacy are just one of the many reasons why expats are moving to Yokohama. Living costs – Since Yokohama is a big city, the living expenses are a bit higher. Still, comparing to the Tokio, you will need less money to maintain the same standard of life. To be exact, assuming that you rent in both cities, you will need around 465,816.40¥ in Yokohama to live on the same standard that you can have with 550,000.00¥ in Tokyo. Unemployment rate – Japan, in general, has a very low unemployment rate of only 2.4%. The unemployment rate in Yokohama is in this range. 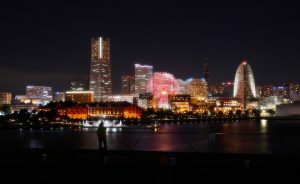 Safety – Yokohama has a very low crime rate of 4.17%, which makes it one of the safest city in the world. Culture – Japanese culture is very different than the culture of the Western countries. If you know the basics, you can easily fit in. Still, it is a great recommendation to research the Japanese customs before your moving to Yokohama. Climate – If you are moving to Yokohama, you should know that this city has all four seasons. Spring and autumn are mild and pleasant, while the summers are very hot and humid. Winters are rather dry and chilly, without extremely low temperatures and snow. Language – If you have no knowledge of the Japanese language, that shouldn’t worry you. Since Yokohama is an epicenter for expats, most of the residents are fluent or at least know the basic English language. There are also many signs in English and other foreign languages. Food – There are many international restaurants and famous food branches. 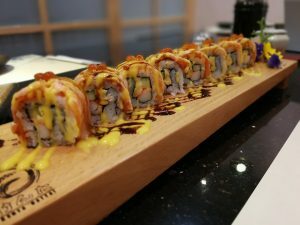 Still, don’t be afraid to experience all the charms of Japanese cuisine, since it is exquisite. Since there are many expats in Yokohama, you can find all types of cuisine. Yokohama is the best place for expats in Japan. There’s no doubt about it. Here people are more welcoming to the foreign newcomers, which is not the case in other Japanese cities. Since Yokohama is historically the main port for international trade, residents are familiar with the customs of other cultures and more open towards expats.